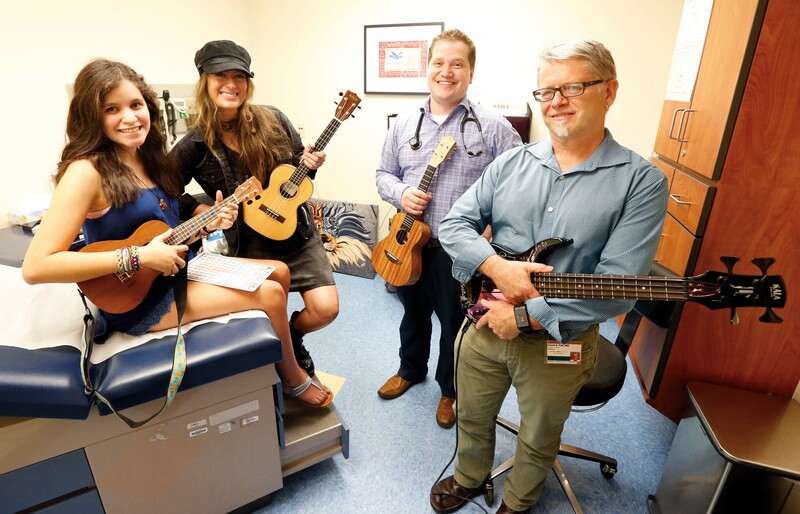 During a recent clinic visit, pediatric cardiology patient Sydney Andrade-Rubio, left, enjoyed a ukulele session with, from left, recording artist Alyssa Bonagura, Justin Godown, MD, and Frank Fish, MD. Photo by Steve Green. Sydney Andrade-Rubio usually brings her ukulele during hospital stays and clinic visits at Monroe Carell Jr. Children’s Hospital at Vanderbilt. The 15-year-old likes to pass the time strumming the four-string instrument, humming tunes and sometimes playing along with her cardiologist, Frank Fish, MD. 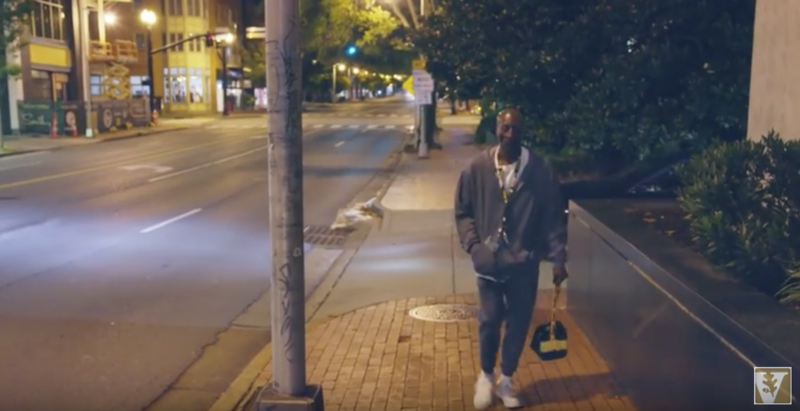 Music has been the bridge Fish used to help him connect with his teenage patient who was recently diagnosed with hypertrophic cardiomyopathy, a disease in which the heart muscle becomes abnormally thick, making it harder for the heart to pump blood. It is a common cause of sudden death in young people. 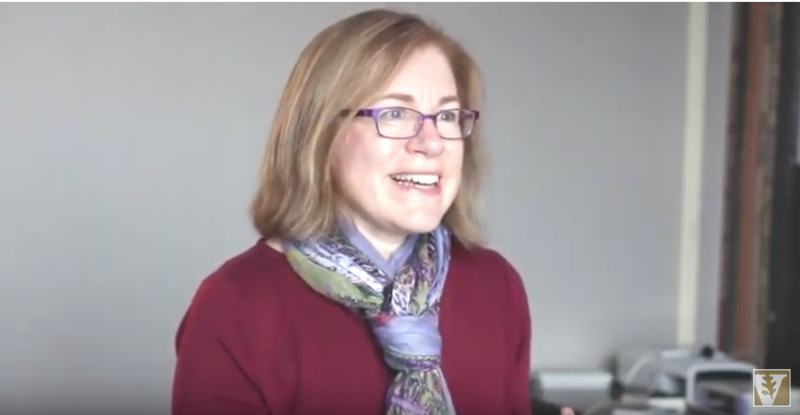 “I always try to connect with my patients on some level to find something we can talk about,” said Fish. “When she said she liked music, playing the guitar and was learning to play the ukulele, I immediately showed her a video clip of my friend playing. From that point on, Fish and Sydney have used music to help move through the tough discussions and sometimes to not talk at all. During a recent clinic visit, Fish surprised Sydney with a special guest and jam session. Recording artist Alyssa Bonagura, with The Sisterhood Band, showed up to play with Sydney, Fish and transplant cardiologist Justin Godown, MD. Bonagura was the artist featured in the video clip that Fish shared with Sydney during the earlier visit. When Bonagura walked in, Sydney was in awe. The pair, along with her physicians, played one of Bonagura’s hit songs “I Make My Own Sunshine,” as well as other tunes. Sydney, who is currently on the waiting list for a heart transplant, was brought to Children’s Hospital in August 2018 after suffering a cardiac arrest at school. Thankfully, her school had achieved Heart Safe status by working with Project ADAM (Automated Defibrillators in Adam’s Memory), a national organization committed to making schools “Heart Safe” by preventing sudden cardiac arrest in children and teens through education and life-saving programs. Children’s Hospital became an affiliate of Project ADAM in 2017 and assists schools in the Middle Tennessee area to achieve Heart Safe certification. It joined East Tennessee Children’s Hospital in Knoxville as the second affiliation in the state. Project ADAM focuses on ensuring that schools and communities are not only equipped with automated external defibrillators (AEDs) but also trained in prevention measures. All of that is music to Sydney’s mother’s ears, who is thankful for the immediate response that saved her daughter as well as the continued care Sydney receives. “I’m blown away by the excellent care that Sydney has been given at the hospital, the kindness of the nurses, doctors and volunteers,” said Xochil Rubio. “Music brings Sydney healing at a deeper level.